A self-assembly strategy named "direct synthesis of coordination compounds" (DS) based on the usage of metals or their oxides as the starting materials, was developed into an approach for the preparation of heterometallic complexes. 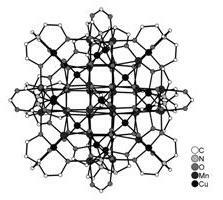 Some of the modifications of DS, in particular, concerning different sources of second metal, such as metal powder, oxide, salt, anionic metallocomplexes or compounds with metal in highest oxidation state, were articulated. The main principles of the formation of heterobimetallic complexes as well as features of their crystal structures are briefly reviewed.